Broadcast live from the London Palladium for the first time ever, Comic Relief – Face the Funny brings together a stellar line-up for a spectacular evening of comedy. 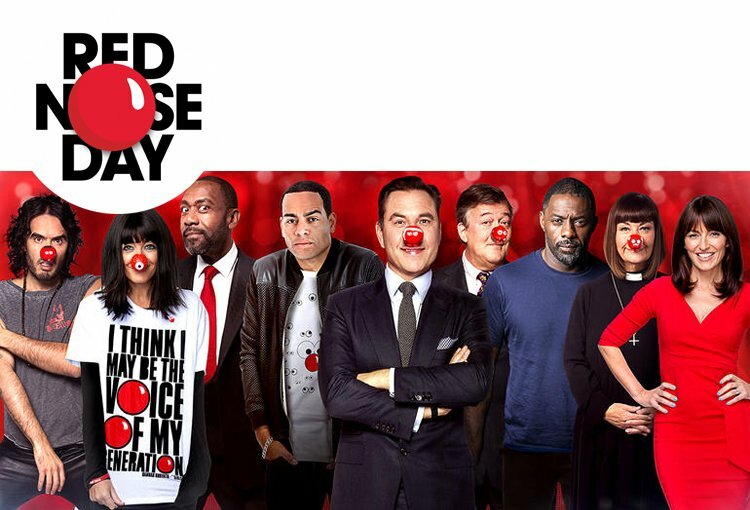 Davina McCall, John Bishop, Lenny Henry, David Walliams and Claudia Winkleman are joining forces to bring you a top night of TV to raise money for Red Nose Day 2015! The world's most famous secret agent, Daniel Craig, has been given a licence to thrill viewers in a special one-off James Bond sketch – which promises to leave you shaken and stirred in the best way possible. Viewers will also be treated to another must see sketch, in which some of the biggest names in showbiz find out if they’ve done enough to earn the esteemed accolade of ‘National Treasure 2015’. Russell Brand, Cheryl Fernandez-Versini,Stephen Fry, David Gandy, Miranda Hart, Sheridan Smith and… The Chuckle Brothers head an all-star cast in this one-off Comic Relief special. Legendary characters from British comedy history will make an on-screen comeback for one night only. Rowan Atkinson’s beloved Mr Bean will return to Red Nose Day for the first time in eight years, joined by actors Ben Miller and Rebecca Front for a sketch strewn with twists, turns and complications. The nation’s much loved female vicar is back as Dawn French returns to screens as Geraldine Granger, campaigning for the role of the next female Bishop. And David Walliams will reprise his iconic character Lou for the exclusive return of Little Britain with a very special guest – Professor Stephen Hawking. Bringing a new twist to more old favourites, four Comic Relief heroes will appear live on stage together for the first time asJohn Bishop, Eddie Izzard, Davina McCall and David Walliams join forces for a special reinvention of the legendary Monty Python ‘Four Yorkshiremen’ sketch. Dermot O’Leary will be dancing in the streets as he reaches the climax of his mammoth 24-hour Day of Dance. Without losing rhythm he will dance his way from BBC New Broadcasting House to a triumphant welcome at the London Palladium. And the night will also mark the climax of this year’s exciting TV specials. The four Star Bakers from The Great Comic Relief Bake Off will go head to head to be crowned champion of this year’s series in a one-off edition of The Great British Bake Off: An Extra Slice with Jo Brand, Frank Skinner and Mary Berry. And in the finale of The People’s Strictly, one of the six inspirational, everyday heroes and their dancing partner will find out if they have won the coveted Glitterball trophy presented by Tess Daly and Claudia Winkleman. The night will be full of unmissable live moments, including stand-up sets from Doc Brown, Cardinal Burns, Mr. Khan and Trevor Noah, and stunning performances from pop sensation Ella Henderson, singer songwriter Labrinth and Grammy award-winner Sam Smith. 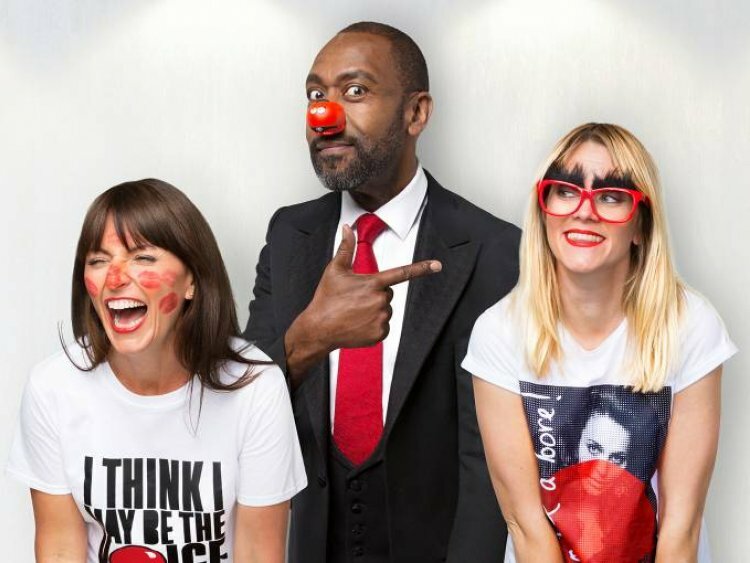 To show how the money raised could help change lives here in the UK and across Africa, viewers will be reminded of the serious side of Comic Relief’s work, with powerful and moving appeal films presented by Peter Capaldi, Olivia Colman,Idris Elba, John Bishop and Lenny Henry. There will also be the opportunity to hear the good news of how Comic Relief cash has been used to make a difference. With a star-studded line up and a cracking programme, Comic Relief- Face the Funny is a comedy extravaganza not to be missed. Tune in at 7pm, Friday 13th March, BBC One & BBC Two. Be there live and buy your tickets to this once in a lifetime night here.